← PA + NY New Camper Events Were AWESOME! We can give our children many things, but as parents, we cannot give them character, independence, optimism, and enthusiasm – these are qualities that children have to discover and develop on their own. And that is the true gift of camp. Camp is a place that provides a safe environment to find adventure, friendship and ultimately to find one’s self, to find one’s true character. At camp we often call ourselves a camp “family,” and for those summer months we really are. We are one community, relying on each other and looking out for one another. It feels like family. And at its heart, that is how Martin Luther King Jr. wanted us to look at the world around us: one family, each of us treated with respect and compassion. May the strength and love that we feel at camp send ripples to the world around us. For those of us lucky enough to go to camp, it’s our obligation to make it so. 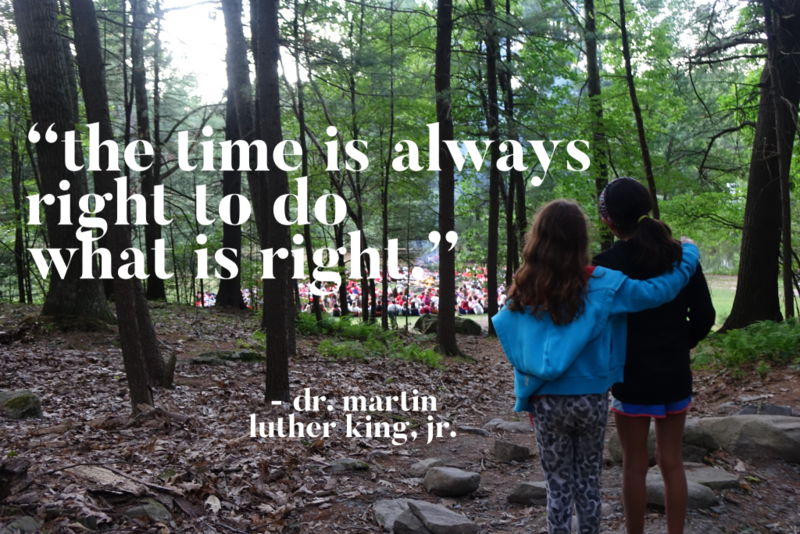 Let us know what your kids are doing out in the world for Martin Luther King Jr. Day! This entry was posted in Resources from Camp. Bookmark the permalink.